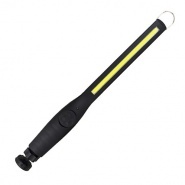 0.5W Super bright COB LED telescopic pick-up torch. 360° flexible magnetic head, magnetic base and hook. Durite floor standing 12/24 volt engineers work lamp. 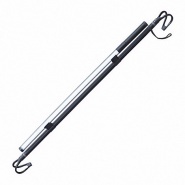 5 x 3W Epistar LEDs, with handle, stand, 3 metres of cable and cigarette plug. 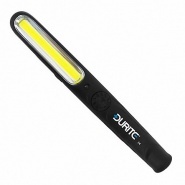 Durite standard ES bulb handheld inspection lamp, with plastic handle, on-off switch, plated guard and bulb reflector. We hold a large range of workshop or mobile engineer inspection lamps, torches, floodlights, inspection lights and floor standing lights. 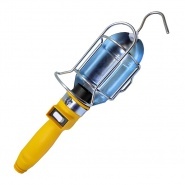 Whether it is garage or site work, Arc Components Limited has a good range of quality products including LED, halogen, bulb type inspection lights and lanterns. Exceptional 1250 Lumens, 1450 Lux at 0.5M. Ultra bright 120 SMD LED under bonnet inspection lamp. 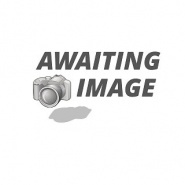 Fits vehicle bonnets to 188cm. 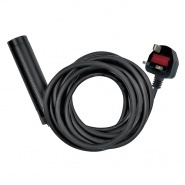 230VAC BS1363 plug with 5 metre lead. 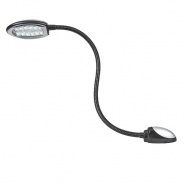 Allows the 0-541-91 lamp to be powered from the mains in a workshop environment. 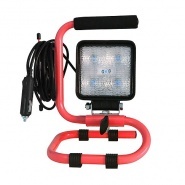 Durite 12V map reading light, 12V dc supply, 12 super bright white LED's, 6 red LED's for night light, 325mm flexible arm, CE approved. Durite 24V map reading light, 24V dc supply, 12 super bright white LED's, 6 red LED's for night light, 325mm flexible arm, CE approved. Durite 12V cigarette lighter plug charger for use with LED cordless rechargeable inspection lamp 0-699-77, 0-699-78 and 0-699-98. LED cordless rechargeable inspection lamp. With 8W COB LED and Lithium Ion battery. Protected to IP54. Fitted with magnet and hook. 7W super bright LED COB (Chip-On-Board) rechargeable slim light. 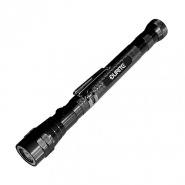 Comes with variable lumen switch adjustable by a single hand. Durite 12V cigarette lighter plug charger for use with Compact LED cordless rechargeable inspection lamp part number 0-699-80.